There are some days when it’s so chilly outside that you feel like you might not make it from the car to your front door without obtaining a bit of frostbite. These are the days that soup feels entirely perfect and comforting for dinner. But can soup be considered a main dish? My husband doesn’t think so. 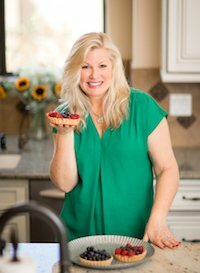 When soup is placed in front of him for his evening meal, he looks at me, smiles and says, “What’s for dinner?” My loving response is, “Sweetheart… some soups are meant to be main dishes. This is one of them.” And it is! 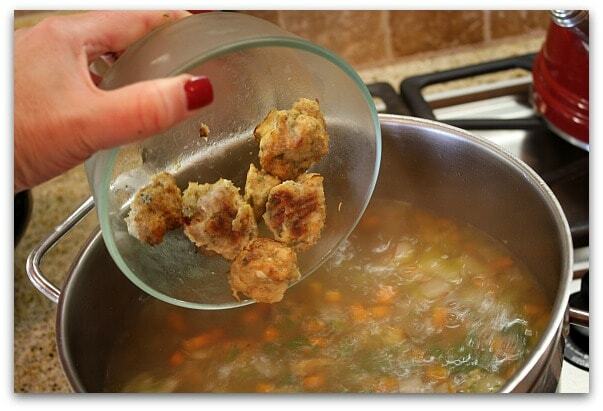 Prep for this soup first involves making the meatballs. 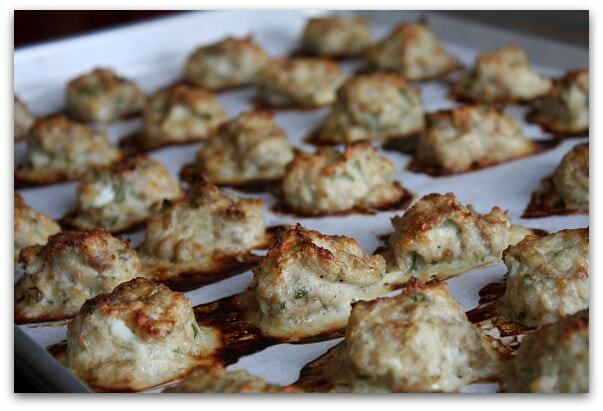 Mix the (turkey & sausage) meatball ingredients and spoon the mixture onto a baking sheet. Baking the meatballs in the oven makes this entire process so much simpler than trying to saute 40 meatballs in a skillet. They’re done cooking after about 30 minutes. 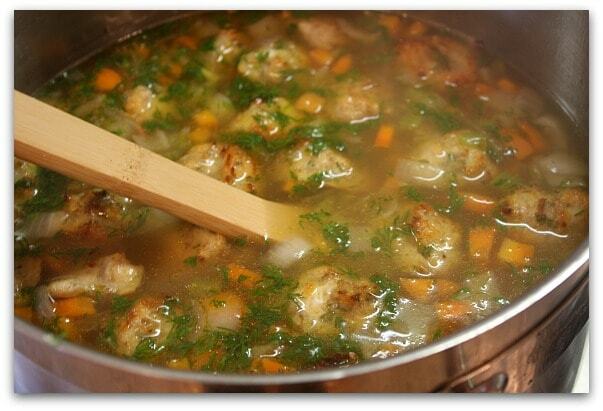 While the meatballs are cooking, you can prep the soup…chopped onion, carrot, and celery with chicken broth and wine. Pasta and fresh dill are added in toward the end. Your cooked meatballs are then slipped in. It’s set to simmer for a bit before adding in fresh spinach, giving it a taste and adding in any needed salt and pepper. Now, if this soup isn’t a meal in itself… I don’t know what is. 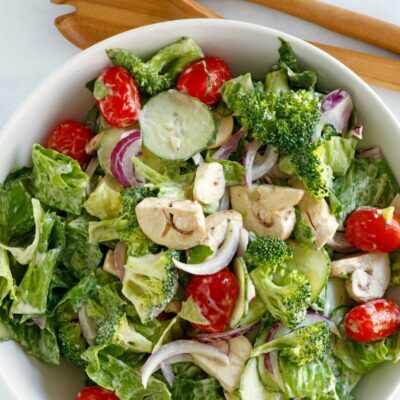 Warm, comforting, colorful, healthy and delicious. 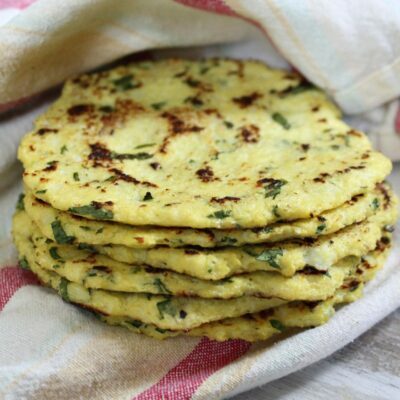 Serve it to your family knowing that it will fill their tummies and warm their souls in the chilly days of winter. And fyi, my husband is a good guy… a great guy. He just never had homemade soup growing up, and he is actually very happy about having this one for dinner! This soup is UN-BELIEVABLY good. I'm addicted, and I'm afraid you might be at risk too. Prepare meatballs: Place ground meats, bread crumbs, garlic, parsley, Parmesan, milk, egg, 1 teaspoon salt and 1/2 teaspoon pepper in a bowl and combine gently with a fork. With a teaspoon, drop 1-inch meatballs onto a sheet pan lined with parchment paper (you’ll make somewhere around 40 meatballs). Bake for 30 minutes, until cooked through and lightly browned. Set aside. Prepare soup: Heat olive oil over medium-low heat in a large stock pot. Add onion, carrots, and celery and saute until softened, 5 to 6 minutes, stirring occasionally. Add the chicken broth and wine and bring to a boil. Add pasta to the simmering broth and cook an additional 6 to 8 minutes, until the pasta is tender. 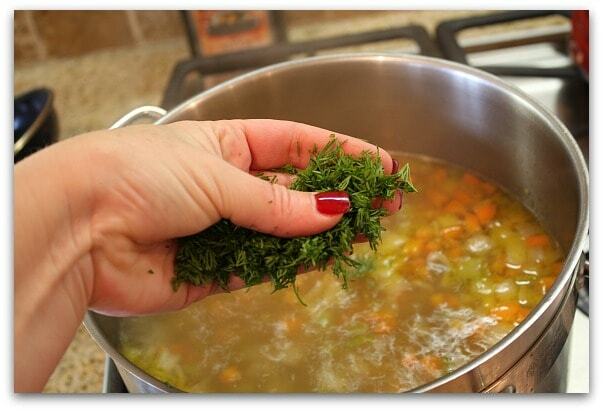 Add the fresh dill and then the meatballs to the soup and simmer for 1 minute. Taste for salt and pepper. 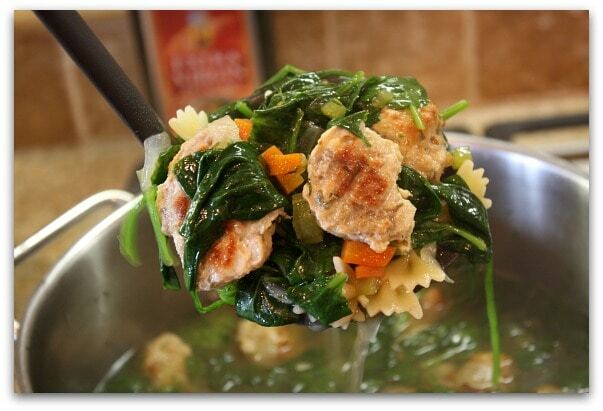 Stir in spinach and cook for 1 minute, until spinach is just wilted. Ladle into soup bowls and sprinkle each serving with extra grated Parmesan cheese. I know this is a little late to comment, but I have to tell you. I made this soup for my family a couple years ago now and everyone instantly loved it! 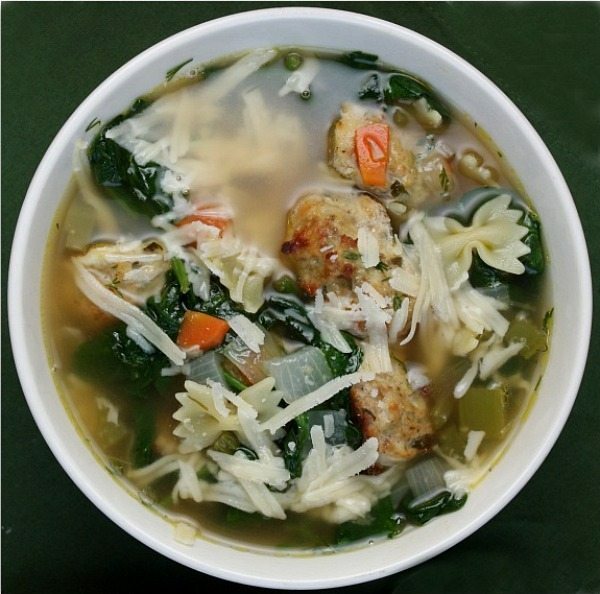 This is our favorite soup to make, and I’ve even used the meatballs in different recipes. In fact I just made it tonight to take to a party tomorrow. I always have to double the recipe so there’s plenty to go around. I made this to serve as the soup course at my parent’s 30th anniversary party to great reviews! It really is addicting! 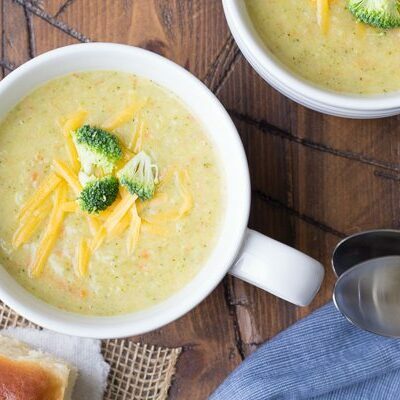 This soup is amazing and perfect on a frigid Midwest day! 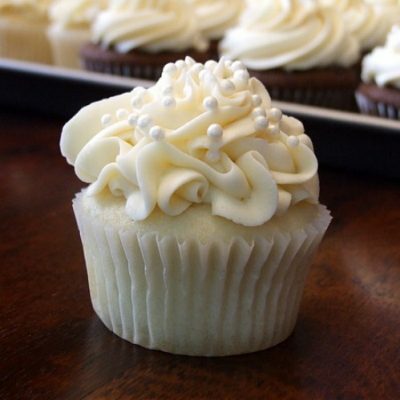 I made for the first time a couple of months ago, and my husband loved it so much he me to make it again. I love the turkey meatballs as well. The only thing I will do differently is add more spinach and yes, it does need a bit more broth. No biggie. The dill is a wonderful flavor, too! 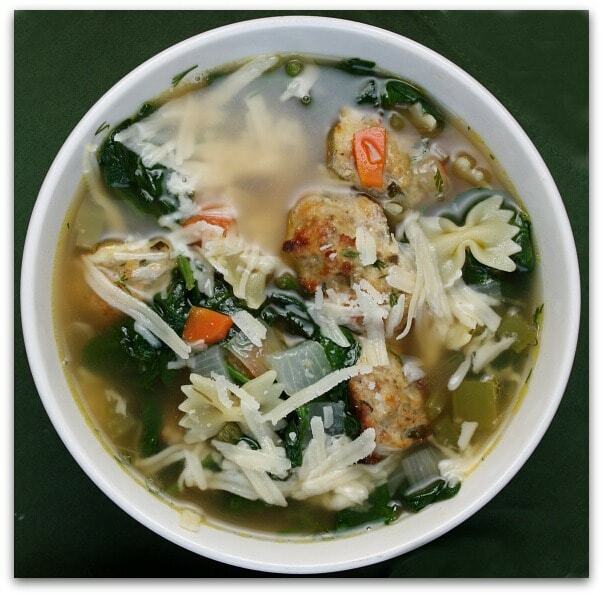 Ina doesn’t have a clue as to how to make an authentic “Italian Wedding Soup”! 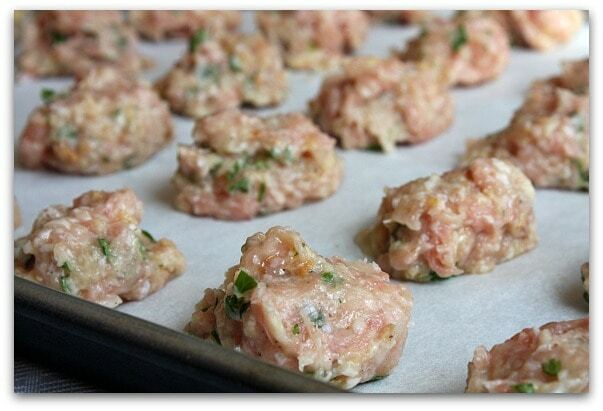 First of all, the tiny meatballs are traditionally made with ground veal, not turkey! She should stick with her own (pretentious) “French Cuisine”, and not attempt to make dishes which are authentically Italian….since she doesn’t know how to make them. She suggested that you should add oil into your pasta water when cooking it….in order to keep the pasta from sticking together!! NO Italian cook would ever do that, since the oil will keep the sauce from sticking to the pasta. That woman is a total joke, and very ‘pretentious! 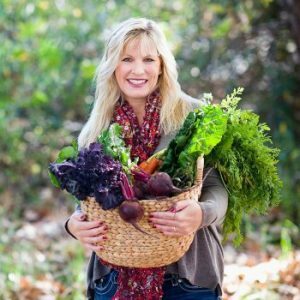 Also, what’s up with all of those ‘gays’ on her cooking shows in the Hamptons, and doesn’t she ever change her clothes? The only ‘normal’ person on her show is her husband, Jeffery. I made this tonight, and used ground chicken instead of turkey. I think next time I will use beef/veal/pork. I guess I’m not fond of poultry meatballs, but the dish turned out really good. Like others mentioned, it could’ve had more broth, but like I said, it was very tasty, and filling. I’m pinning this. It looks so good especially right now that it’s freezing outside. Soup is perfect. I made this soup this weekend and I loved it! One thing I wish there was more broth, but ill just add some more stock next time. I made this today. It’s reallllly good. But the only problem is that it’s too much stuff and not enough broth! Does anyone have any recommendations? I don’t know whether to add another cup chicken broth and a no white wine, or a little bit of both. I always add a little more broth if that happens- and I find it happens often with soup! 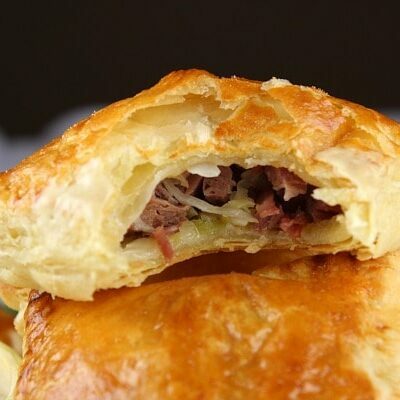 I first made this recipe a year ago and it is now a staple that my husband and I make. It is just the perfect soup for a cold night. 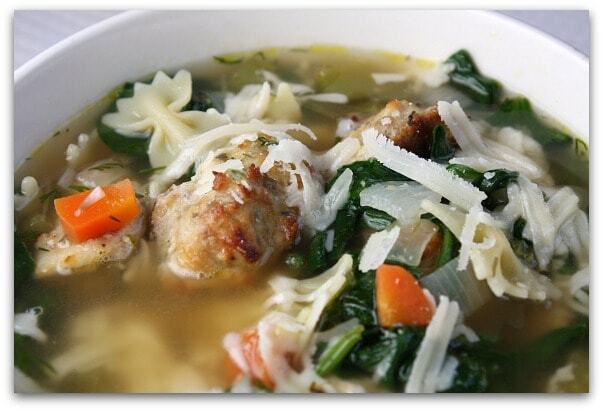 The hardest part of this soup is not eating all the meatballs before you put them in the soup! Thanks for sharing this!